Please see below for the latest regional events. 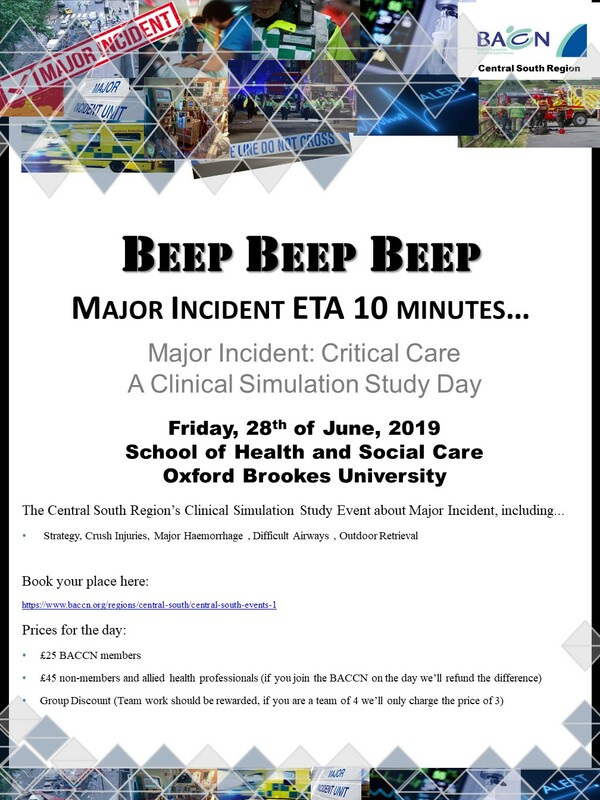 Event Name: Critical Care Made Easy! Event Location: D Level North Wing, Southampton, Tremona Road, Southampton, Hampshire, SO16 6YD. This study day will be discussing, key Cardiac and Renal issues in Critical Care.